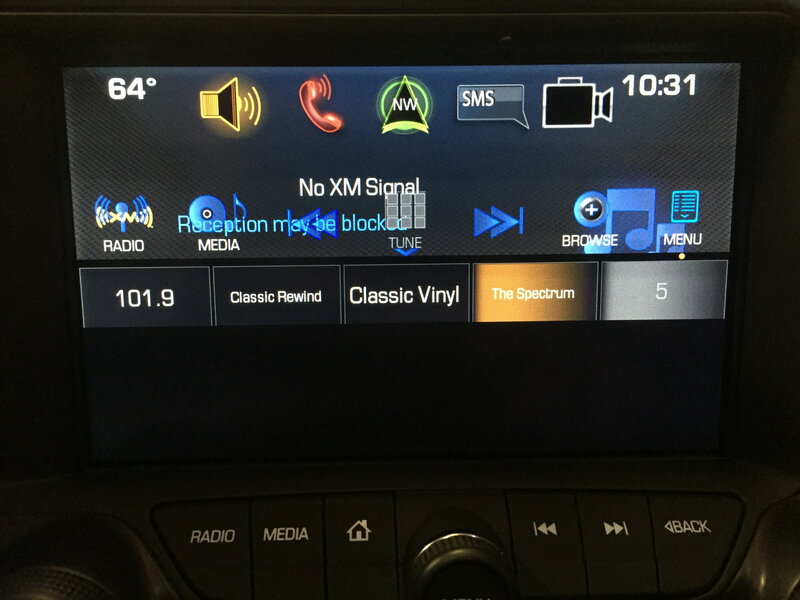 My infotainment screen has a glitch when I use the radio - but not when the screen is in any other model. 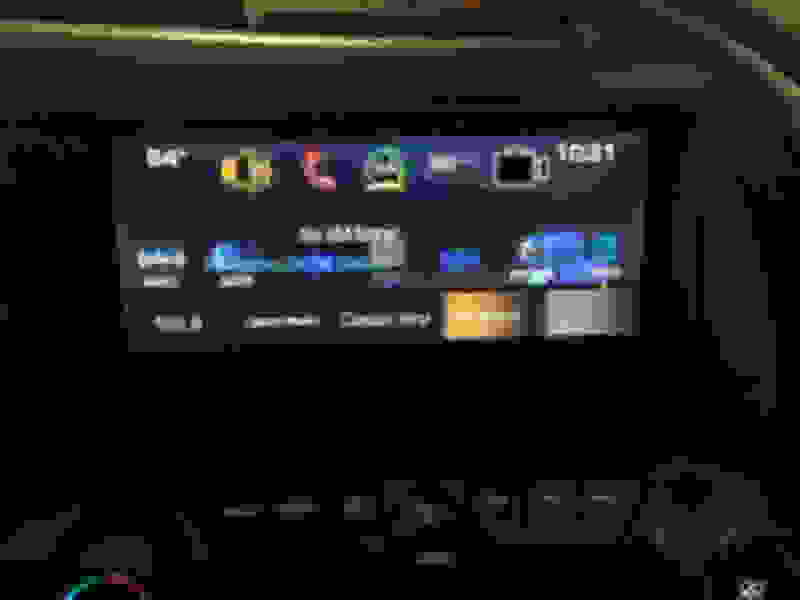 For example, it works fine when I use CarPlay. As you can see from the pictures, in radio mode the radio screen only uses half of the display. Text is jumbled and several lines of text are over-layed on top of each other. I only have one row of "favorites" selected in options, so no idea what's going on here. These screens have been a problem for many of us. I'm on my second one replaced by the dealer under warranty. The new one was working fine when I put her away for the winter but now on my first drive this spring the screen is jumbled only when I play my MP3 player. Will live with it until next oil change in a few months. The only recommendation I would make is to take it to your dealer to fix/replace and to establish a record of failure. Once our cars are out of warranty this will be an expensive replacement unless you have a record of prior failures/fixes at the dealership and request dealer/GM to fix as a customer courtesy considering prior failures. I think mine does that too when the row of stations is displayed on the bottom. This squishes the screen. 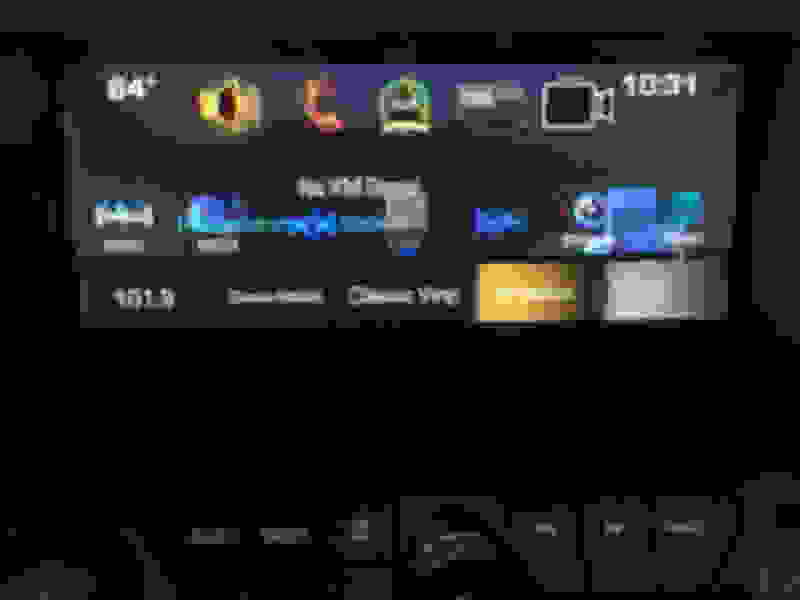 Eliminate the row of stations by sweeping it down with your finger, and I think the whole display comes up like you want. Last edited by Hoonose; 03-22-2016 at 11:14 AM. Mine was looking like this too. This is the correct answer. Absolutely nothing wrong with your screen or the infotainment system. The "favorites" can be expanded to display multiple rows, even if you have no more than 5 favorites. Is that what the little arrow below "TUNE" indicates? Yep, but you have to put your finger a little below that to make sure you don't get the "Tune" selection. The blank line just above the first row of favorites and just below the little arrow is about the right place. I think you can put your finger anywhere along that to "push" the favorites down. No idea but I do like your choice of XM stations. I am sorry to see you’re experiencing this unexpected concern with your Infotainment screen in your Corvette. Have you brought this to your dealership’s attention? I see that you are seeking advice from other forum members, but don’t hesitate to reach out to us if you would like to visit your dealership for a service visit. We would be happy to contact them on your behalf and provide support on our end. Please be sure to include your full contact information, current mileage, VIN, and preferred dealership in your message if this is something of interest to you. Another avenue of possible assistance is the Infotainment Help Center. They may be reached at 855-478-7767 and their hours of operation are 8:00 am to 10:00 pm EST, Monday through Saturday. Thanks everyone for your help - I am going to try to resolve this tonight when I get home. This is my first Corvette and it's absolutely AWESOME!!! Pure American power. This worked perfectly. Thanks for the tip - it was not intuitive to me at all. It's interesting that you would post all of this after the correct answer had already been provided and confirmed. I am having the same issue...great to find the answers on the forum! !